For the entrepreneur, see William McGowan. 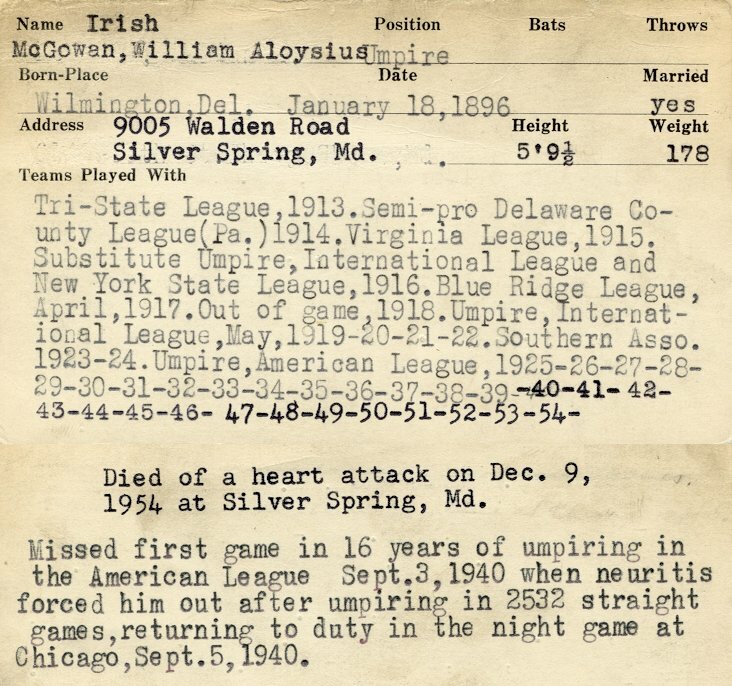 William Aloysius McGowan (January 18, 1896 – December 9, 1954) was an American umpire in Major League Baseball who worked in the American League from 1925 to 1954. McGowan founded the second umpire school in the United States. He was inducted into the National Baseball Hall of Fame in 1992, the only person born in Delaware so honored. McGowan was born and grew up in Wilmington, Delaware. In 1913, he began umpiring in the Tri-State League at the age of 17. He moved on to the Virginia League in 1915, the International League and New York State League in 1916, and the Blue Ridge League in 1917. McGowan served in the United States Armed Forces during World War I in 1918, and then returned to the International League for 1919. Following the 1922 season, McGowan left the International League and joined the umpiring staff of the Southern Association, staying there until 1924. On April 14, 1925, McGowan umpired his first American League game. He umpired third base in that game. He would umpire for 30 seasons, umpiring in eight World Series (1928, 1931, 1935, 1939, 1941, 1944, 1947, and 1950). He also worked four All-Star Games (1933, 1937, 1942, and 1950). He umpired in 2,541 consecutive games, missing a game on September 3, 1940 due to neuritis. 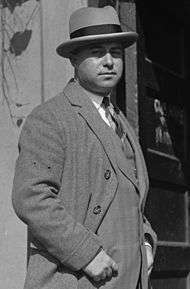 McGowan spent time writing baseball-related newspaper articles in the offseasons, working for the New Orleans Item in the 1920s. McGowan founded what is now known as the Wendelstedt Umpire School in 1938, which was run by Al Somers after his death until 1977, when it was taken over by the Wendelstedt family. He died at age 58 at his home in Silver Spring, Maryland, after suffering two heart attacks in less than a week. He was buried in Cathedral Cemetery in Wilmington. He was survived by his wife, a son and a foster son. McGowan was elected to the Baseball Hall of Fame in 1992 by the Veterans Committee. ↑ Hall of Fame Players:Cooperstown. Publications International. 2005. p. 198. ISBN 1-4127-1217-3. ↑ "Scribe 'Bill' McGowan Starts Work Today". The Sunday Morning Star. September 28, 1924. Retrieved July 8, 2012. ↑ "McGowan School to Keep Going". Daytona Beach Morning Journal. December 10, 1954. Retrieved July 8, 2012.